Reviews | The One Who Saves Me | Cardeno C.
I still have that happy feeling inside, the same every Cardeno C. book leaves me with...I can't have enough of Cardeno's books. This is a delightful story that I will never forget. The One Who Saves Me is a beautiful story that is wonderfully created and written. A story of unlikely friends that love, adore, and protect one another. It's a journey of two men on a search for the perfect mate, not realizing he was standing by the other's side the entire time. It's a fantastic story of ups and downs, joys and tears. I highly recommend The One Who Saves Me. I adore this series and look forward to reading more in the near future. Cardeno C, once again, did a splendid job in bringing this story to the page. The journey throughout the years was an enjoyable one. To see them growing from teenagers to wonderful men was a joy to me. Their friendship and devotion, Andrew's struggles, their lust, emotions and acceptance of each other was beautifully weaved together in a way that truly made this story real for me. The dialog was both entertaining and revealing. The events that took place throughout the story were perfectly placed to have their proper impact on the reader. I was grinning with happiness each and every time they got together, screaming at them to get their heads on straight and crying my eyes out with each betrayal and each painful thought. 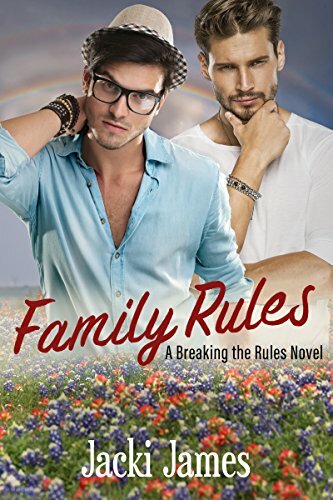 I would recommend this book to all m/m romance lovers.